Who were the Hind Sisters? Please contact us if you would like to buy any of the booklets below. There will be a postage and packing charge of 80p per booklet. The story of the first rector of the parish to be presented by Emmanuel College, Cambridge. 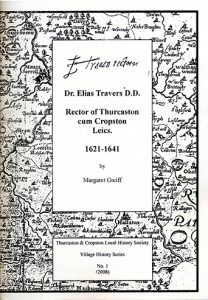 At the time, the living of Thurcaston (which included Anstey and Cropston) was one of the richest in the county. Price: £2.50 + postage & packing. 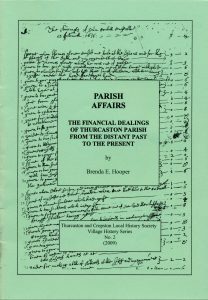 How the Parish has provided local services by the collection of rates through the years. 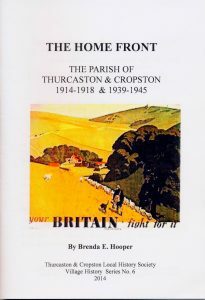 The booklet includes illustrations and reproductions of many original documents. 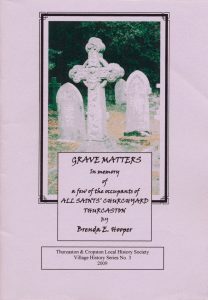 The book details the history of gravestones and masons and touches upon the wills, inventories, inquest and burial certificates of some of the residents of All Saints' graveyard. 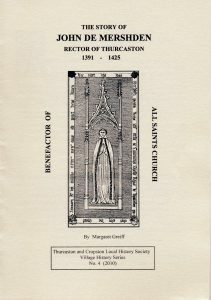 This booklet relates the fascinating details so far discovered about the man whose body lies beneath the memorial brass in the chancel of All Saints Church, Thurcaston. 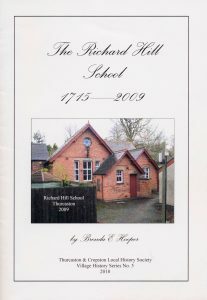 Describing the founding of the Richard Hill School in Thurcaston, this booklet uses documented evidence to follow its history from 1715 to the old building's final closure in 2009. How the men, women and children of our parish "did their bit" at home. Records from the Parish Council, primary school, WI and Memorial Hall Users Committee interwoven with some events and posters from the world wars. Price: £3.00 + postage & packing.